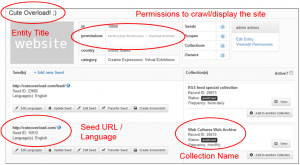 This is a guest post by Grace Thomas, a Digital Collections Specialist for the Library of Congress Web Archiving Team. This interwoven quality prompted WAT to implement the minimal-record approach at a much larger scale than previously attempted and process the entire backlog of web archives publicly available through the Wayback, but not yet discoverable on loc.gov. This is the first leap forward in the Library’s effort to streamline the release of web archives, preparing for a future where web archives are made discoverable automatically as they leave the Library’s required one-year embargo for web archives content. 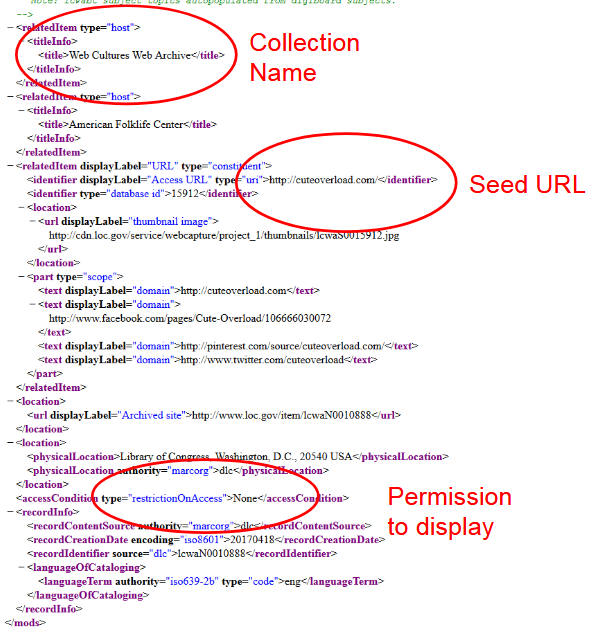 In keeping with the use of Metadata Object Description Schema (MODS) for Library of Congress web archives descriptive records, ABA created a slimmed MODS schema for use in the minimal-record approach. 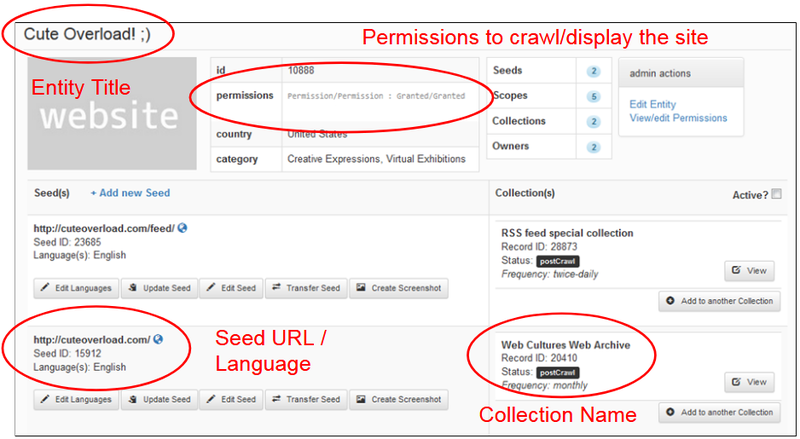 The schema includes all fields necessary to describe the unique web archives at a basic level from data available in Digiboard, WAT’s homegrown curatorial tool. Library staff use Digiboard for a number of web archiving management tasks, from nomination of sites for future capture to quality review of captured content. It does not, however, have a full cataloging and description component. Rather, the curatorial data held in Digiboard is utilized for description in the minimal-record approach. and a summary, if available. There are also boilerplate fields such as genre, form, and online format, which default to “web site,” “electronic,” and “web page,” respectively. The minimal-record MODS schema does not include Library of Congress Subject Headings or Name Authority File information by nature. Some web archives descriptive records created in the past contain information in these fields, but they were added manually during a separate enhancement process. With the MODS schema and fields set, the true magic happens when two scripts run to automatically generate the descriptive records. First, a WAT-created Python script pulls data from Digiboard and drops each value into its specified place within the MODS XML blocks. Second, another WAT-created Python script creates the thumbnail preview images of the archived URLs based on unique identifiers set in the MODS. An example of a web archive’s curatorial data in Digiboard. Examples of Digiboard curatorial data used in the descriptive MODS record for the web archive. 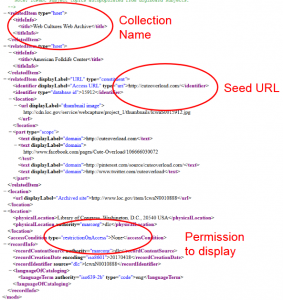 The final MODS XML records and thumbnail JPG images are handed off to Web Services to complete the Extract Transform Load (ETL) process, and publicly release the records on loc.gov. The minimal-record approach to describing web archives works seamlessly for a rolling release of content. However, like standard MPLP practice, the basic records exclude highly tailored information, leaving space for more detailed processing down the line. For this release, the cataloging librarian from ABA manually prepped item titles in Digiboard two days per week for four months, prior to the automatic generation of the MODS. While this involved many hours of focused, hand-curated work, it was a small fraction of the time it would have taken to manually create the 4,240 records included in the release. In order to add Library of Congress Subject Headings and Name Authority File information to bulk up the records later, the WAT and ABA have a few ideas brewing. We hope to advance the librarian + scripting partnership by utilizing id.loc.gov, the Library’s linked data service giving unique identifiers to each term in Library of Congress authorities and vocabularies. With exciting new content processing infrastructure available to WAT at the Library, WAT and ABA will also begin to imagine even more computational methods for assigning descriptive terms. Perhaps using text analysis or natural language processing, the content itself will help librarians with description in the future. This is a syndicated post. Read the original at The Signal 2018-08-03.